So many fun and different links--let's get to them! I love the refashion craze--this sweater from Simply Step Back is a great example! And speaking of sweaters, Christina's Adventures made a little art with some great texture. My Shabby Chateau created the sweetest Parisian Christmas cards. Pickles and Paper conquered her fear of vinyl and dressed up her front door. Mustard Seed Memories made some kitchen art that really pops! 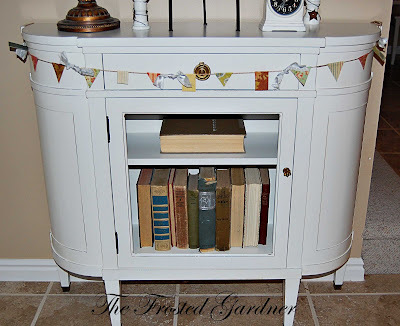 And this furniture makeover by The Frosted Gardner is drool worthy! Looking forward to lots of lovely ideas this week! Love the great, thrifty ideas on here! thanks for hosting this link party. Ahhh! Thank you for highlighting our entry table! It has turned out to be one of my favorite makeovers Thanks for all of the great linky parties! We love it over here. Have a wonderful evening! Thanks so much for featuring my Parisian Christmas hangings! You made my day:) Thanks for another wonderful party!! Ohhhh I so enjoy meandering around here on Thursdays! 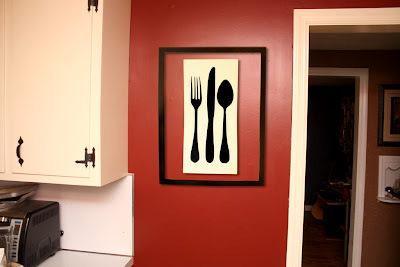 So many great budget-friendly ideas!